After a year spent living in hidingâwith no end in sightâCaroline Andrews wants to reclaim her life. But the lingering trauma from her days serving with the marines leaves her afraid to trust the tempting logger who delivers friendship and the promise of something more. Following an accident that nearly robbed him of his hopes for the future, Josh Summers believes life has given him a second chance. He wants to settle down with the woman who stole his attention and his heart. And heâs willing to wait until sheâs ready to be more than âjust friends.â When fear of discovery leaves Caroline pretending to be his date, Josh tempts her to try the real thingâa relationship built on trust, not lies. But then the past threatens and Caroline must risk everythingâincluding her freedomâto bury her demons before she can take a chance on happy-ever-after. After several years on the other side of the publishing industry, Sara Jane Stone bid goodbye to her sales career to pursue her dream-writing romance novels. Sara Jane currently resides in Brooklyn, New York with her very supportive real-life hero, two lively young children and a lazy Burmese cat. Join Sara Janeâs newsletter to receive new release information, news about contests, giveaways, and more! 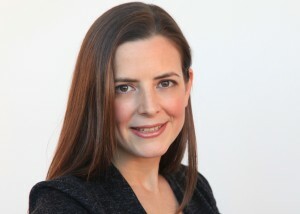 Visit www.sarajanestone.com and look for her newsletter entry form.